We probably all have that friend or relative: they are obsessed with Top Chef, are constantly snapping an Instagram of every meal, and always bring the most delicious dish to the potluck. Well now you need the perfect present to satisfy their taste buds. 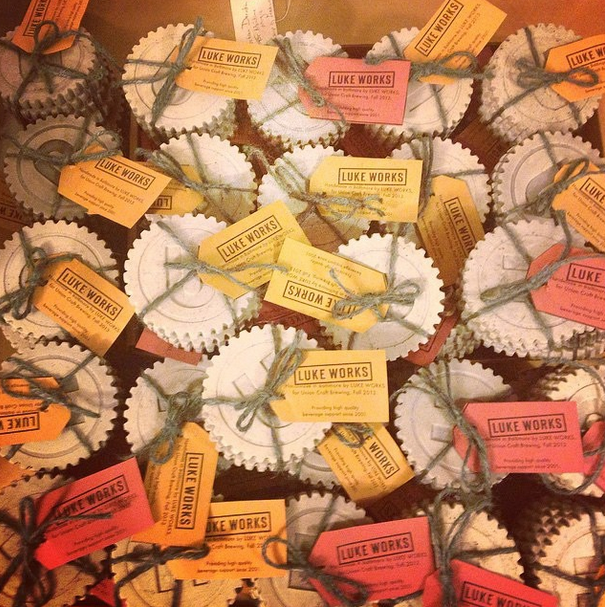 We've compiled a list of locally inspired gifts for all the food-obsessed people in your life. Your out-of-town relative: Restaurateurs Tom and John Knorr have been the brains behind several Eastern Shore spots like the Red Roost Restaurant in Whitehaven and Evolution Brewery in Salisbury. Now the Knorr brothers have started Crab Country Gourmet, which ships crab cakes, soups, and dips to anyone in the 48 contiguous states. Various packages are available ($20-120), and they ship quickly, are easy to reheat, and transport well. The soup is full of veggies and the right amount of heat and the cakes themselves are packed with lump meat. Other institutions—like G&M, Faidley's, and Jimmy's Famous Seafood—will also ship crab products around the country. Your chocoholic aunt: We love chocolate in all its forms, but especially when it's paired with another one of our favorite indulgences. 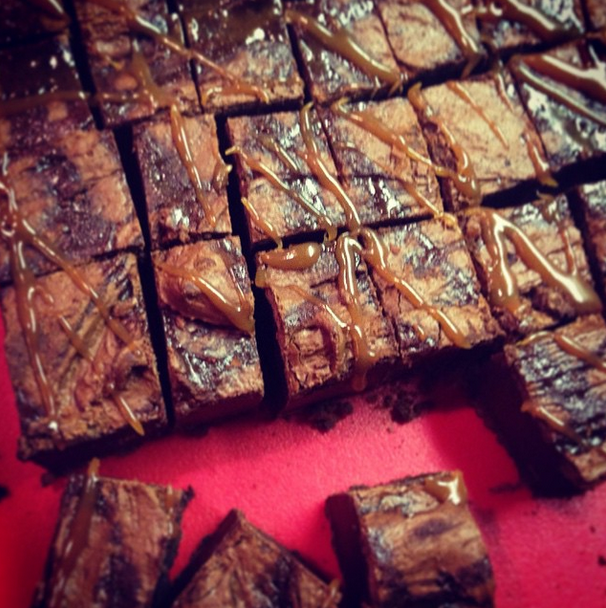 Local food blogger Amy Langrehr's Charm City Cook Salted Caramel Brownies are not only available at one of our favorite guilty pleasure stores Ma Petite Shoe, but now also at The Wine Source just down the street. So whether it's shoes, booze, or chocolate you are craving, there is a one-stop shop open to purchase these salty-sweet treats. There's also local chocolatiers Wockenfuss, which ships its desserts around the country. Your craft-beer-loving sibling: Baltimore's craft-beer scene has officially taken off and there are so many ways to gift the beer enthusiast in your life. How about tickets to an All Grain Brewery Tour? Or maybe a quirky Heavy Seas T-shirt that celebrates our state's beer scene? There's also handmade coasters from Union Craft Brewing, a growler of your favorite brew from Max's Taphouse, or just simply a sixer of the newly named Beazly (formerly Ozzy) from The Brewer's Art. The possibilities are simply endless. 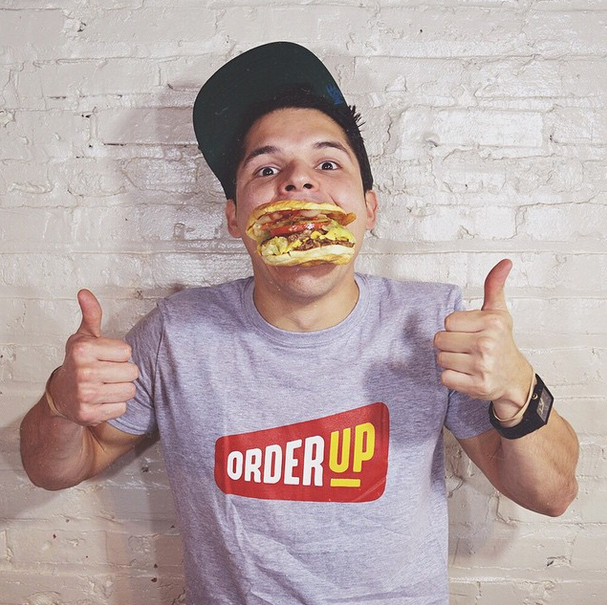 Your college-aged cousin: Since it launched, local online food ordering service OrderUp has been helping foodies on their lazier days. With options from reputable restaurants like My Thai, Blue Hill Tavern, and Homeslyce, OrderUp is a lounger's dream. Now there are gift cards available (up to $100) to give to a certain someone in your life that just might not feel like peeling themselves off the couch one Sunday. 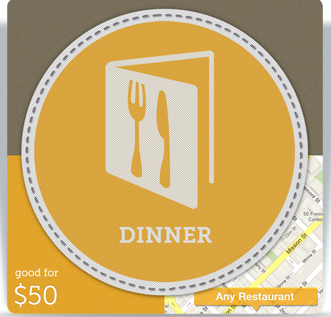 Your dining-out parents: Another really convenient gift-card service is Giftly. Partnering with Yelp and founded a few years ago, Giftly is an innovative way to purchase gift cards to restaurants from anywhere in the country. The list of Baltimore restaurants is actually pretty staggering—everything from the Gypsy Queen Food Truck to Woodberry Kitchen. So even if you live a few time zones away, you can still take your parents out to dinner. Your cook-at-home in-laws: There are a ton of great cookbooks out there, of course, but if you want to cook from recipes straight from the kitchens of local restaurants, there is Baltimore Chef's Table. Food writers Kathy and Neal Patterson compiled recipes from various spots including farm-to-table fare at Fleet Street Kitchen, seasonally inspired cuisine at Liv2Eat, old standbys like Pierpoint Restaurant, and hundreds of others. 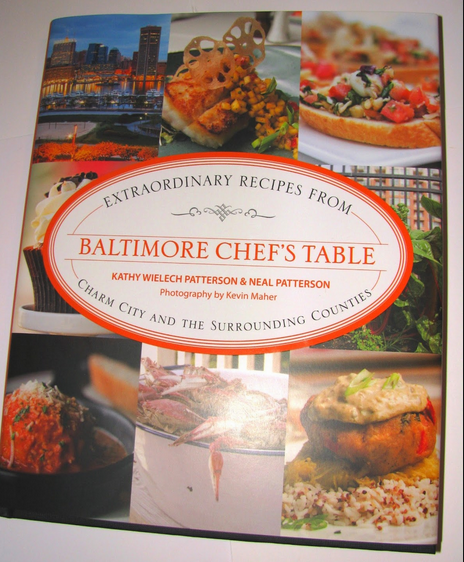 The Pattersons also wrote The Food Lover's Guide to Baltimore, which focuses more on local culinary festivals and markets and is available at the BMA's newly revamped gift shop. Your running-on-fumes spouse: One might associate romance with chocolate or flowers, but we think a fragrant coffee blend to get through the day-to-day is even more thoughtful. 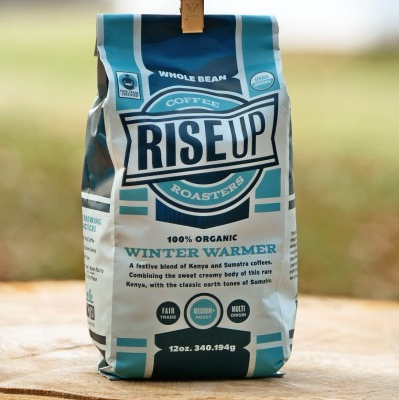 Lately, Maryland has a ton of options, including the Easton-based Rise Up Coffee Roasters, whose 2014 holiday blend contains Kenya and Sumatra organic coffees. Of course, there's also local favorite Zeke's, which has a ton of signature blends based on local landmarks. And you can even purchase tickets to a coffee tasting at Zeke's, Artifact, or Dooby's. Your Baltimore-obsessed best friend: Even when people move away, Baltimore is the kind of place that sticks with you. So the best remedy for homesickness is Baltimore in a Box. 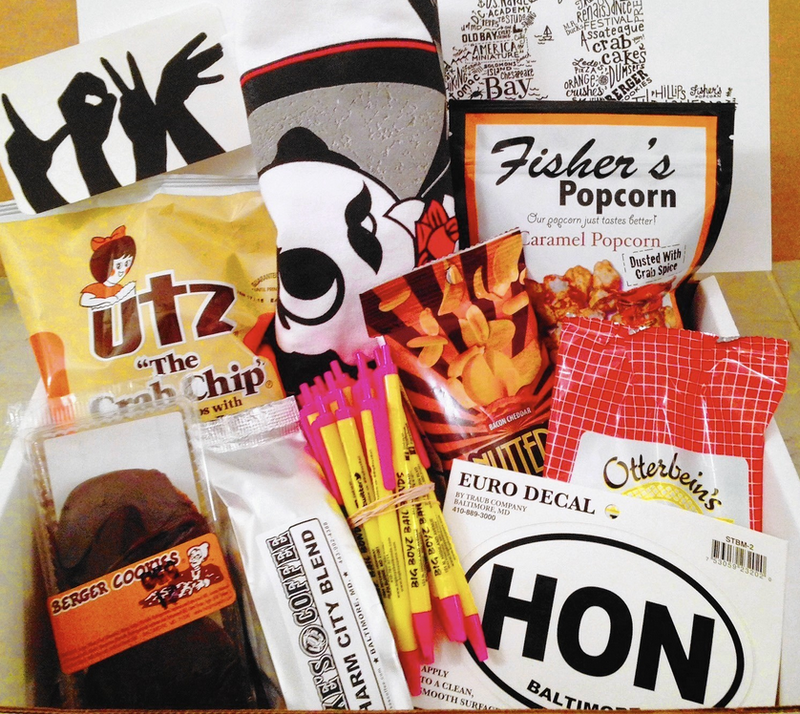 You can send your faraway friend various packages that include Old Bay, Utz Crab Chips, Otterbein Cookies, Berger Cookies, Natty Boh, Mouth Party Caramels, and even (though not food-related) Big Boyz Bail Bond pens.